Upcoming Beach Cleanup September 20th — Coastal Biology, Inc.
We will be partnering with Keep Indian River Beautiful (KIRB) in conjunction with the Ocean Conservancy's International Coastal Cleanup to pick up trash at South Beach Park on Saturday, September 20th. The event will start at 8 AM and last until 11 AM or until you get tired of picking up trash. Coastal Biology and KIRB will be providing drinks and supplies so you just need to bring yourself and a determination to clean the beach. For more information and directions to South Beach Park, see our flyer. During college my parents lived near St. Augustine Beach and on breaks from school I often walked the beach picking up trash. One day an older woman saw me and said in a kind voice, "what a nice thing you're doing young man, you must be with the Boy Scouts." And I replied in my no-nonsense way, "no ma'am, I just live here." Even if you don't live here, help us clean our coastline for all to enjoy. 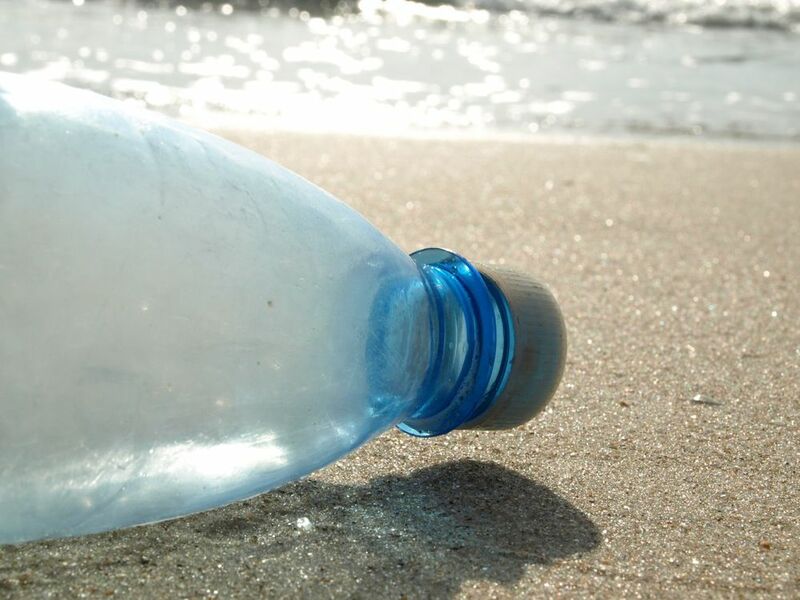 Plastic bottle washed up on Vero Beach in 2012 (Photo: R. Herren).